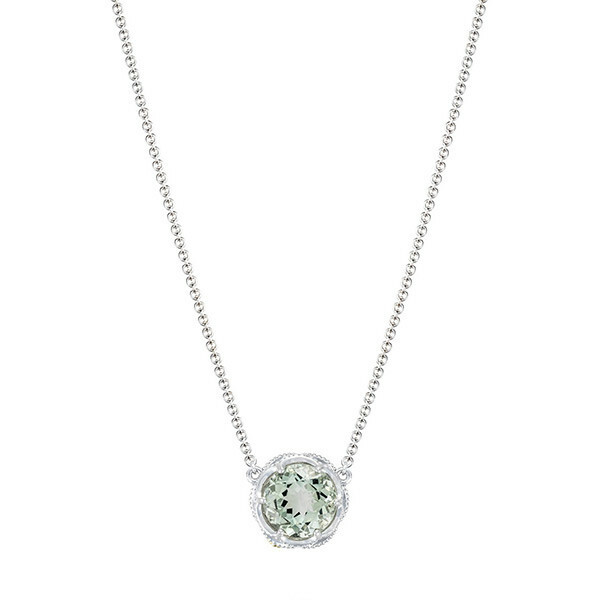 The Color Medley collection by Tacori showcases this lovely pendant necklace. A stunning prasiolite with it's pale green hue serves as the center stone, and it's enveloped by a sterling silver basket with scalloped edges and milgrain detailing. At 17" in length, this Tacori pendant will rest at the perfect spot for almost any outfit.